Here is a list of working counterfeit deep web sites along with onion link and detailed description about them. This list is prepared just for information purpose. I don’t know any website owner personally. So I will recommend you if you are going to use any of below deep web counterfeit onion links then make sure to check reviews about them on popular dark web forums. Since Deep Web/Dark web is full of spammers, there are lots of people just to aim for stealing your heard money. So beware guys before performing any activity. Warning Massage: And also make sure you are 100% anonymous and secure before accessing any dark web links. Never put yourself in danger, always use premium VPN service while exploring darknet. It will cost you only few bucks. If you don’t know how to access tor links with complete security to be safe and secure, then you should check my guide on same. Here are Quick Tips to follow before start browsing on the deep web. First of all, you need to quite all active applications on your laptop/PC which are using Internet. 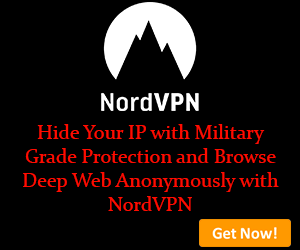 Now Run your VPN Software (My Choice: NordVPN) and Connect least loaded Onion over Server at your end. Now you have setup complete secure and full anonymous environment for you. Let’s get started with the counterfeit dark web links. Fake Bills provides counterfeit service to their users. Here you can get perfect quality fake Euro and dollar bills. Bills are like the real bills, nobody can differentiate them. They claim they bills pass all test like UV tests, per tests etc. If you want to buy fake bills from this dark web service, you need Bitcoin. They accept payments only in Bitcoins. If you purchase in bulk, they will give you a discount. To discuss about discount, you can contact them by given email id. Shipping time is 24 hours. They will also provide you a tracking number. So you can easily track your order. They ship form US, Germany and France. For pricing and shipping charge, you may visit given onion link. Russian Market is the next pick in the list of Counterfeit deep web links. Russian Market deals in US dollars, pounds and Russian rubles. They provide delivery in all major cities of the world. Maximum delivery time is 2 weeks. You can also become investor by investing in their business; you will get 300 percent profit as they said. They print only € 20, € 50, € 500 and banknotes of 5000 Russian rubles. If you find this dark web link interesting and want to know more about them, you can visit above given onion link. Looking for best counterfeit hidden service where you can get high quality notes at affordable price? If yes, then you can consider USD4YOU in your list of Counterfeit dark web links. Here you can buy $100 , $50, $20 and $10 USD Bill. Their notes having highly detailed features and pass all tests like pen, UV, and bank teller close inspections. If you are not happy with their service and want to return bills you received, you can do within in 14 days, they will refund your full money. They provide delivery worldwide. USA delivery time is 1 – 3 days and for other countries, it is 3 -11 days. Next choice for this list of deep web counterfeit links is Cheap Euros. Here you can buy high quality 20€ bills. These bills pass UV test and pen test and work well with vending machines also. They provide shipping to Europe only and it’s free. Payment option is BTC. For pricing info, you need to check given link. If you have any query, you can write email to website admin at given email address. Counterfeit USD is the next option for Counterfeit services on the dark web. Here you can get 50 USD bills. Shipping charge is $30. Their notes pass all tests like major counterfeit deep web links. I am not sure they are trusted or not, very less information is available at their FAQ section even no email id for discussing. Once you pay then contact form will be available as they claim. Next website in the list of dark web links is Counterfeit Factory. Best thing about Counterfeit Factory is it deals in several currencies including EUR, USD, CAD, GBP, CNY, AUD, CFH, RUB, SGD. You can consider this dark web service for buying and selling high quality bills from all countries. They accept payment only in Bitcoin. They offer shipping service worldwide. Shipping charges depend on weight, height, width and location. If you have any query, then you can visit given TOR link and check FAQ section. Here you can buy good quality 20/50/100 Euro and USD bills with watermarks and security thread. These bills pass all the tests. They use same technique to make these fake bills which is used by ECB and Federal Reserve. Shipping is free for 200+ USD orders and delivery time is 3 -4 days. They also accept payments in Bitcoin only like other deep web sites. For pricing info and your query if you have any, feel free to visit above onion link. Cash is king is the last pick in the list of Counterfeit dark web sites. Cash is king provides $5, $10, $20, $50 and $100 bills. These bills are not counterfeit bills. These are 100% authentic Federal Reserve printed bills. All bills are in good conditions. Yes, you can deposit them into ATM. There is no way to track these bills. For pricing and ordering info, you can visit given onion link and check their Pricing and ordering section and for any other query, you can check FAQ section.